Welcome to Hart Dental! In our calming, beautifully designed environment, we like to keep things fun and friendly so that you feel comfortable from the moment you enter. Though we love to chat, we’re happy to keep it quiet and let you relax, too. We’re here to cater to you, your wants and your needs. Bring your insurance card and a form of identification in with you. We’ll verify your insurance coverage and file your claims directly to them. To save you time, you can complete our new patient forms at home and submit them before your visit. If you need assistance filling them out, please don’t hesitate to contact our practice. You’ll be warmly greeted by a member of our friendly team, who will set you up with the necessary forms to fill out. Your children can play in the kids’ area, and you can help yourself to our beverage center if you’d like a refreshment. Your new patient visit takes about an hour. 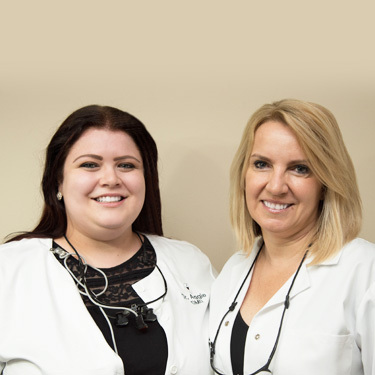 During this time, Dr. Aggie will get to know you, understand your concerns and do a consultation or a full dental examination, depending on what you’ve been scheduled for. Dr. Aggie will spend one-on-one time with you during every procedure, giving you her full attention and all the time you need. Contact us today to book your time! If you’re experiencing an emergency, we offer 24-hour care to patients of record.